Matthew Fassero introducing Mother Julia as the speaker for the evening event. 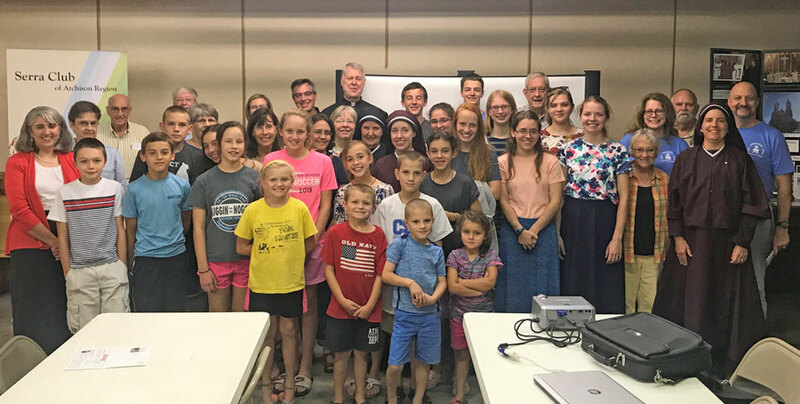 She gave a wonderful presentation on the Sisters in Jesus the Lord's community and work in Vladivostok, Russia, and Raytown, Missouri, USA. 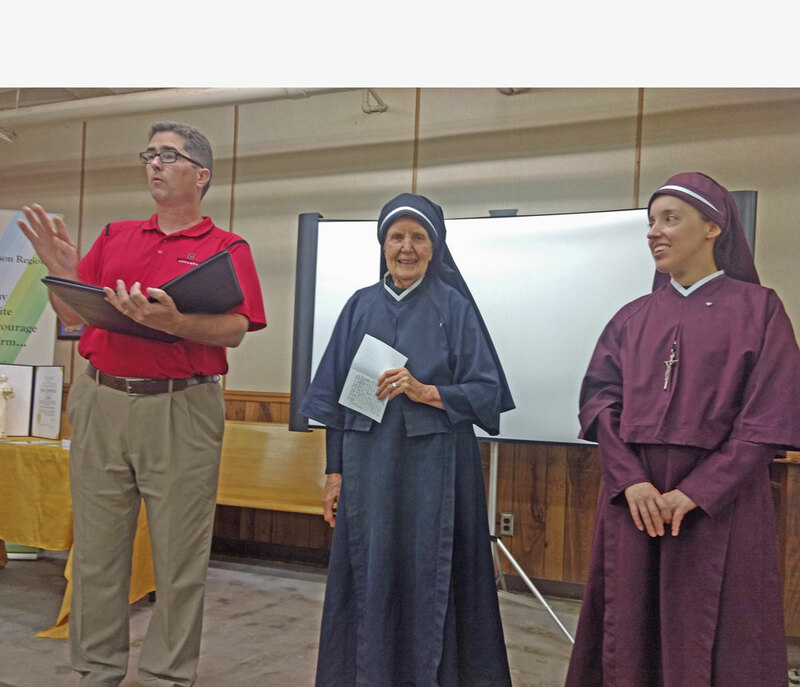 Sister Gemma Maria (on right) later shared her vocation story. 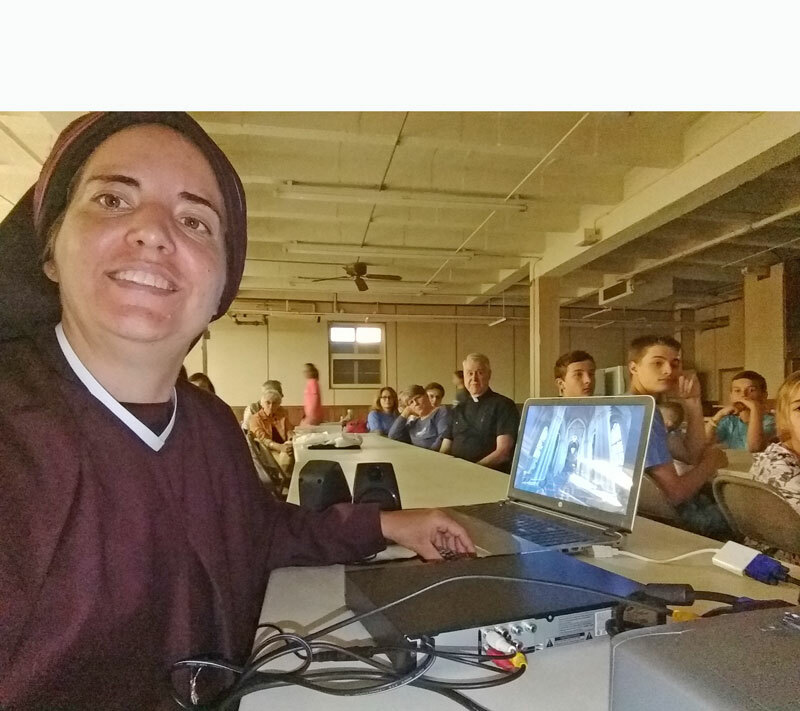 Sister Maria Damiana, on tech duty, showed a video and pictures of the sisters' work in Russia, proving that a picture is worth a thousand words. In the background, one can see a portion of the large group of Serra Club attendees and young adults. Father Matthew, center right, attended and gave a special blessing for the evening. 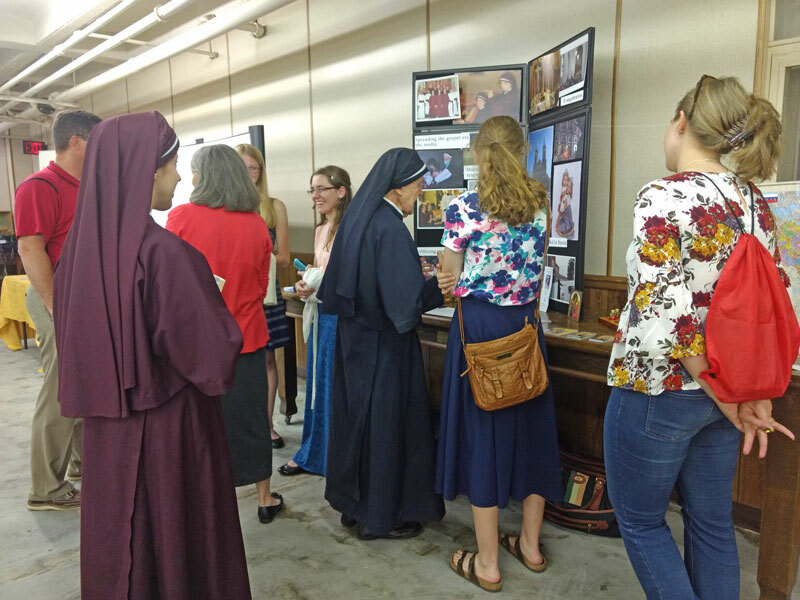 The sisters set up their booth with pictures, newsletters, and other information. Mother Julia had the opportunity to explain and answer questions for many interested attendees. The whole group of Serra Club attendees at the sisters' presentation (Matthew Fassero taking photo). We thank Matthew and Megan Fassero for having invited us and for organizing this wonderful event.